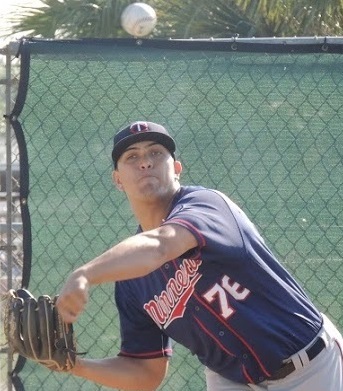 The Minnesota Twins minor league season came to about ten days ago, but it was a successful season all around. The Rochester Red Wings won 80 games and lost a tie-breaker for the wild card spot in the International League playoffs. The Chattanooga Lookouts were the best team in the Southern League and shared the league’s championship due to Hurricane Irma. The Ft. Myers Miracle had a terrific second half to earn a playoff berth where they lost in the first round. 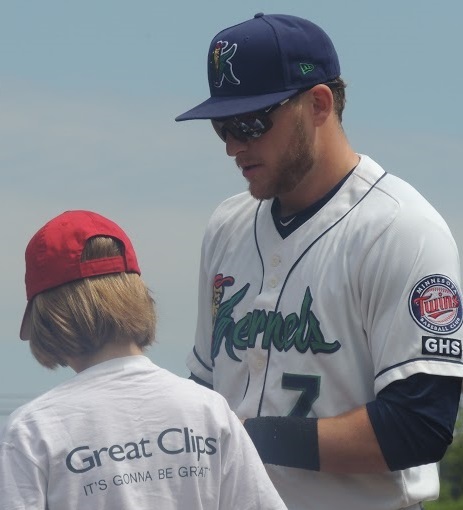 The Cedar Rapids Kernels earned their playoff spot in the first half. They won their first playoff series before losing in Game 3 of the West Division championship. The team that beat them, Quad Cities, went on to win the Midwest League championship. The Elizabethton Twins won another Appalachian League title, and it appears they will remain a Twins affiliate for another five years (or more). The Gulf Coast League team won its division and lost in the GCL semifinals. The Dominican Summer League Twins also made the playoffs in 2017. Today, we would like to announce our choices for 2017 Minnesota Twins All Stars. Our Twins Daily minor league report writers were asked to vote for a catcher, first baseman, second baseman, third baseman, shortstop, three outfielders, a DH, a left-handed starting pitcher, a right-handed starting pitcher, a left-handed reliever and a right-handed reliever. The player at each position who received the most votes takes the spots. Read through our choices for each position. Check out how each of our writers voted. And then discuss and cast your votes as well. 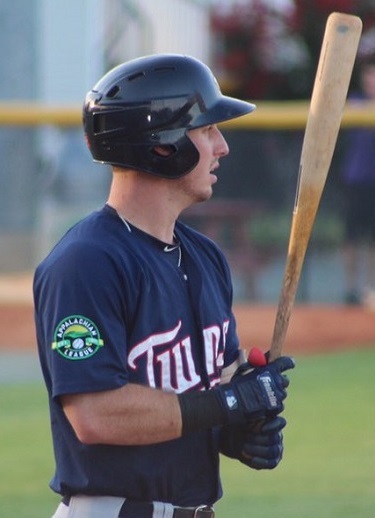 Garver was the Twins Daily Minnesota Twins Daily 2014 Hitter of the Year when he played in Cedar Rapids. As you saw last week, he earned the award again in 2017 for his play with the Rochester Red Wings. His 2017 season began in big league camp as a non-roster invitee for the third straight year. He went to Rochester where he spent the final month of the 2016 season. He split time behind the plate early in the season with John Ryan Murphy. He began seeing some time in left field. Behind the plate, he threw out 31% of would-be base-stealers. He’s thrown out between 31-33% each season. 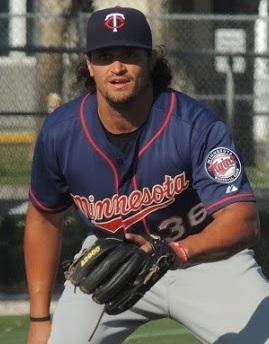 In mid-August, he was called up to the Twins and has played in 15 games so far. Rodriguez was the 19th-round pick of the St. Louis Cardinals in 2009 and spent the first eight seasons of his career in that organization. 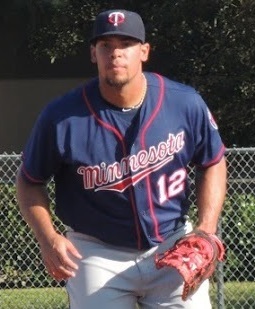 Last offseason, he became a minor league free agent and signed with the Twins. He spent most of the season in Chattanooga where he put up fantastic numbers and was consistent throughout the season. He spent the final week of the regular season with the Red Wings where he added another home run. He returned to the Lookouts for their playoff run, and his tremendous season culminated when he hit a two-run, walk off home run to give the Lookouts a share of the Southern League championship. 2017 Stats: .251/.343/.441 (784) with 22 doubles, 11 triples, 13 home runs and 69 RBI. Blankenhorn spent the full 2017 season in Cedar Rapids where he hit anywhere from first to third in their lineup. Still trying to develop defensively, he spent the first half of the season playing third base. In the second half, he moved over to second base and did well. Offensively, he has a good, patient approach at the plate. He’s strong and could add significant power in time, but he’s also got real good speed. He should move up to Ft. Myers for the 2018 season. 2017 Stats: .276/.358/.484 (.842) with 26 doubles, 4 triples, 14 home runs and 65 RBI. White was a high school teammate of Rangers infielder Joey Gallo, playing against the likes of Kris Bryant and Bryce Harper. White stayed home and went to college at UNLV. He spent 2015 in Cedar Rapids. He began 2016 in Ft. Myers, but an injury pushed him to Chattanooga early in the season and he struggled. This year, he struggled some in spring training and stayed back in extended spring training to work through some things with his swing. The work paid off as he put together a tremendous season. 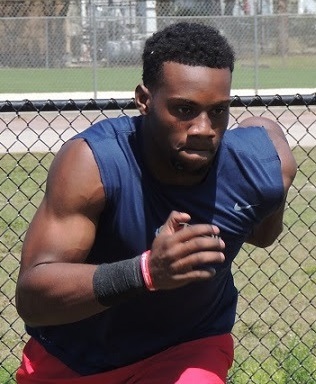 White is very strong and could develop a lot more power, but he’s also got good speed. Palacios burst on the scene when he came to the States in 2015 and hit .370 in the GCL and .336 in Elizabethton. He went to Cedar Rapids to start the 2016 season, but he really struggled with the adjustment (whether is was the weather or the league). He hit just .222/.276/.287 (.564) in 71 games before getting hit by a pitch in the hand and ending his season. He returned to the Kernels this year and his prospect status was regained, and maybe heightened. He hit .320/.362/.544 (.907) in 62 games with the Kernels before moving up to Ft. Myers where he hit .269/.303/.359 (.662) in 62 games. He also had a .961 fielding percentage at shortstop. 2017 Stats: .340/.394/.479 (.872) with 17 doubles, 5 doubles, 5 triples, 30 RBI. Back in early 2014, then-Kernels manager Jake Mauer told me that Granite would have the most professional at-bats I’d see. Over the last two seasons, as he has been healthy, he has shown that to be true. Granite is a prototype for a leadoff hitter. He puts together quality at-bats. Knows the strike zone well, and has the cool and calm to handle tough situations. In 2016, the Twins named him their minor league player of the year. He was added to the 40-man roster in the offseason and made a strong impression on Paul Molitor at spring training. In June, he hit .470 in Rochester. 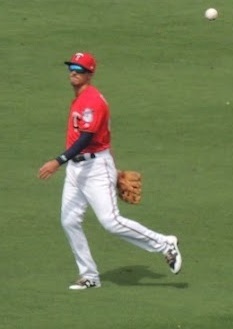 In early July he was called up to the Twins where he played most games as Byron Buxton was on the disabled list. He went back down and came back up in late August. 2017 Stats: .323/.436/.527 (.964) with 19 doubles, 5 triples, 4 home runs and 29 RBI. The Twins have had terrific success drafting baseball players and athletes and letting them develop. Niko Goodrum and Byron Buxton are two examples, but Georgia has produced a lot of terrific baseball players in the last decade or more. Baddoo, one of two compensatory picksafter the second round in 2016, is another example. He has really good speed which could lead to a lot of extra-base hits, stolen bases, and range in the outfield. He also gained 15 pounds in the offseason and has a lot of power now with a ton of power potential. He began the season in the GCL, but moved up to Elizabethton as soon as Brent Rooker was promoted from E-Town to Ft. Myers. Upon joining the E-Twins, he became an instigator at the top of the lineup. In August, he had 13 doubles and got on base over 50% of the time. The future is bright. He was the Twins Daily short-season Hitter of the Year. 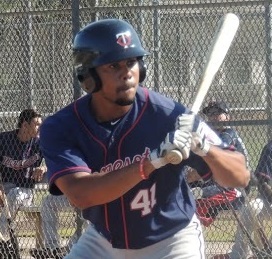 The Twins drafted Brent Rooker late in the 2016 draft , but he chose to bet on himself and returned to college for his senior season. He won the SEC’s Triple Crown, and the Twins took him this year with a compensation pick right after the first round. 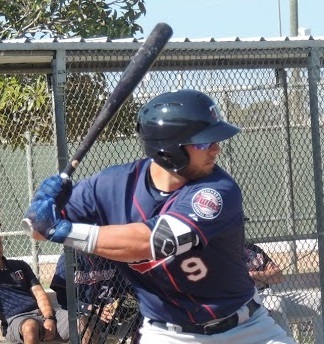 (Interview) Since he’s had four years of college and is an advanced hitter, the Twins had him adjust to pro ball and life in Elizabethton for 21 games before aggressively promoting him to Ft. Myers. With the Miracle, he was twice named the Florida State League’s player of the week. His 18 homers in his draft season are the most since Paul Russo hit 22 in Elizabethton in 1991. He hit 11 of those homers for the Miracle. The last time a player hit double digits in homers in Ft. Myers during their draft season was Todd Walker, in 1990. This was a close vote, as you might expect. There were a lot of options, but it was Beeker who got the most votes. Drafted late in 2016, he split his time between the GCL and Elizabethton. He began this season in Cedar Rapids and was one of the most consistent starting pitchers throughout the season. His fastball tops out at about 89, maybe 90, but he showed impeccable control and really good secondary pitches to keep hitters off balance. He had a stretch of 34.1 scoreless innings at one point. 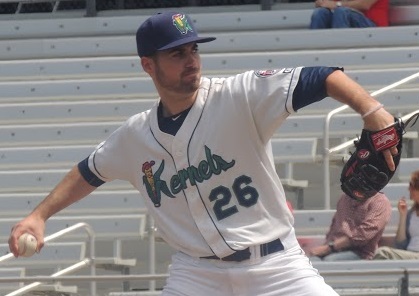 He received a promotion to Ft. Myers late in the year but returned to the Kernels for the playoffs. Get to know him. Gonsalves has moved up a level a year (with midseason promotions along the way) and dominated at each level. 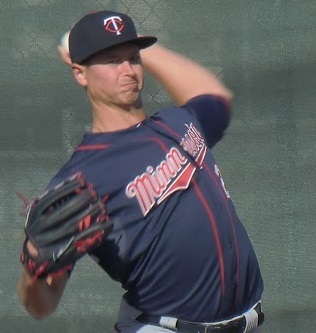 He was the Twins Minor League Pitcher of the Year in 2016, as well as the Twins Daily Starting Pitcher of the Year in 2016. He earned an invitation to big league spring training and pitched well before his shoulder started bothering him. He remained in Ft. Myers, rehabbing and building strength until moving back up to Chattanooga in the middle of May. From there, he was really good again. In early August, he was promoted to AAA Rochester where he made five starts. The left-hander has good velocity, sitting between 91 and 93, touching 94 with the fastball. He’s got a good changeup, and his slider and cutter continued to improve and has become a good pitch for him. He repeated as Twins Daily Starting Pitcher of the Year in 2017. 2016 was the breakout season for Curtiss. He dominated in Cedar Rapids for a month before dominating at Ft. Myers for the rest of the season. He impressed in the Arizona Fall League last year as well. He began this season in Chattanooga where he took off as their closer and was a Southern League All Star. He didn’t give up a run until June 13th. He was promoted to Rochester and made his AAA debut June 23rd. He continued to pitch well, and in late August, he was surprised to get the call to the big leagues. He faced 194 batters this year between AA and AAA and didn’t give up a home run. He’s faced 22 big league hitters and given up two homers. But with a 97 mph fastball and a really good slider, he’s got a chance to be a really good cog in the back of the Twins bullpen for years to come. He’ll need to cut down the walks some, but he certainly can miss bats. He earned the Twins Daily Relief Pitcher of the Year for 2017. Vasquez looks the part of a potential dominant lefty reliever. He’s tall. He’s thick. He throws hard, and he’s got a strong slider. His pitches can be described as heavy and hitters rarely seem to make good contact off of him. As you can see from his 2017 numbers, he misses a lot of bats. He began the season in Cedar Rapids where he posted a 1.61 ERA and 13.3 K/9. He moved up to the Miracle where he had a 1.51 ERA and 13.1 innings. He’s certainly one to watch as he moves forward. C: Mitch Garver, 1B: Zander Wiel, 2B: Luis Arraez, 3B: Nelson Molina, SS: Nick Gordon, OF: LaMonte Wade, Zack Granite, Daniel Palka, DH: Adam Brett Walker. RH SP: Fernando Romero, LH SP: Stephen Gonsalves, RH RP: Trevor Hildenberger, LH RP: Michael Theofanopoulos. I continue to wonder how minor league pitcher of the year - Gonsalves - did not get called up to a rotation that could have used a boost in its pursuit of the WC. This is an interesting list of players.As I looked at the ETAs I wondered about the otherside of the ETA - who goes?I can see Booker pushing our Vargas and the pitchers should not be a problem with Colon and Santiago leaving, but 3B and OF for 2018 are interesting.I can see Granite with Rosario, Kepler, and Buxton so where does Wade fit in?If we have Vargas gone for Rooker there is no hole to fill. I think Mauer solidified his position - at least for next year and maybe beyond.Our tiny bench does not leave much space - if we have Ehire, Escobar, Granite, Garver on the bench there is not much room for anything else. Love the projections and it just makes me speculate. I feel Rooker's ETA is a bit aggressive, but would love it if he progresses that fast. I had a feeling the pick at SS would be a tough / "split" decision. With Gordon, Palacios, and now Lewis in the fold (and Polanco exceeding expectations on the MLB Club), the Twins should be solid at that position for years to come. Great mix of guys. Love going and watching these guys play before they make it. Adds another dimension to being a baseball fan when you keep close tabs on the minors. I'd agree with much of this list. At the deadline I was quick to nix any idea of trading Gordon. I'm at a point now, after seeing Polanco develop, Package Gordon, Granite, Felix, Kohl Stewart, etc. and get a mainstay pitcher in our rotation. Heck, Gibson may have even gained some trade value. Our patience is paying off right now with this group, and it's time to cash in a few prospects to help the rotation. I think we can afford it. EXTREMELY excited about Baddoo by the way. I'd rather see them sign a big buck free agent pitcher, keep the prospects, see how they develop.When Dozier leaves they'll need Gordon to replace him. Rooker has an ETA of July 2017 and Gonsalvez June 2016? I think I missed those debuts. I think Eric should be banned from voting in the future. Just curious, as I've always felt that a part of the MLB All-Star voting doesn't just have to do with numbers, but more-so who I would rather watch play in an All-Star game. Call it an 'excitement factor.' It would be my guess that maybe Ted weighed more heavily on this based on his choices, but did any of the writers use this as consideration, or was it mostly stats? I can only speak for me. My votes went to who I thought had the best year, statistically. This isn't a prospect ranking (for me), so I went with numbers/opinion. Rodriguez is not a prospect, and I get that. This is a 2017 milb Twins all star team. With the exception of him, and arguably Beeker, (who's lack of pure stuff may not translate long term), it's a list of some interesting prospects. Despite Palacios season and talent, still a little surprised he got the nod over Gordon. Understand not including Zach Littell, (who I mistakenly revered to as Beeker in another post recently), due to his limited time in the organization. But a little surprised Beeker over Romero, and very surprised by Beeker over Slegers. Question #1: Are we sleeping a bit on White? Already 25, but is he a late bloomer with some upside? Or did he just have a nice season. Question #2: Considering Rooker's potential and pretty mad stats, are we looking at Chattanooga to begin 2018? Because it's looking that way to me. Falvey and Levine must feel that those young guys are not quite ready (Gonsalves, Romero, Jorge, etc.). And, the Twins paid the pro-rated league minimum for Colon, so that's not a big deal. Gee... pro-rated league minimum. Boshers is barely above league minimum. I went with Gordon over Palacios, but I had no problem with Palacios. It was really close. I thought Slegers was the easy choice for starting pitcher of the year. I didn't have Romero in my top five. I thought Beeker was very good, and Poppen has been overlooked too. Answer 1: I'm not sure on White. He hasn't been a "prospect" and yet, I find him intriguing. Like I wrote, he stayed in EST this year to work/revamp his swing, and it appears to have paid off. Answer 2: I would suspect that Rooker will start in Chattanooga. Also not a prospect ranking for me. 1. I don't think we're "sleeping" on him. Certainly had a great year and even improved on his numbers in AA than he had at any other stop, but I don't think he'd crack a Top 20 list. Edit: Though now that I look, the Surprise roster has 7 Twins on it already, so not likely. Hadn't heard the last 3 announced: Ryan Eades, Andrew Vasquez, Sean Miller. Overall opinion of Falvine's first AFL roster: They could have done better. Couple interesting pitchers though. Hard to quibble with the choices. Nicely done. I am not sure who they should've sent that they didn't? Rooker, Gonsalves, & Romero need the time off, most of high upside the relievers have been there before, are with the Twins or injured...what could have been "better" regarding the roster?